Neat, Dan. How do I fix it? Once done, you’ll need to restart the Microsoft Exchange Active Directory Topology. 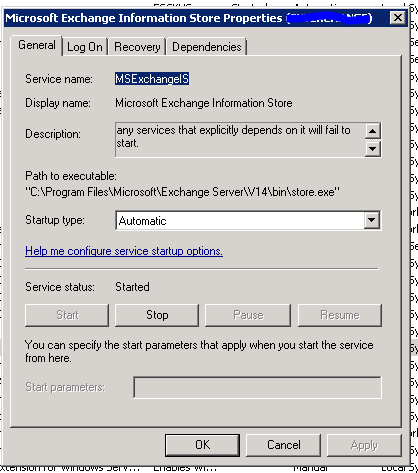 This service has lots of dependencies, or many services are dependent on it, so they will be listed and will restart as well, including the pesky MSExchangeIS Service. Once everything restarts, you’ll be all set. As I said in the beginning, there are lots of reasons why services fail. Check your Event Viewer and see what’s going on with the service. Microsoft does many things difficult, but the Event Viewer can be your friend sometimes. Learn to use it to your advantage! As always, these posts only get better if I have feedback. Let me know how it goes.